With its diminutive size and LED-illuminated VOLUME knob, the Hotone Skyline Tuner guitar pedal is quite the conversation piece. Featuring fast pitch detection and a bright display, the Skyline Tuner does its job well. 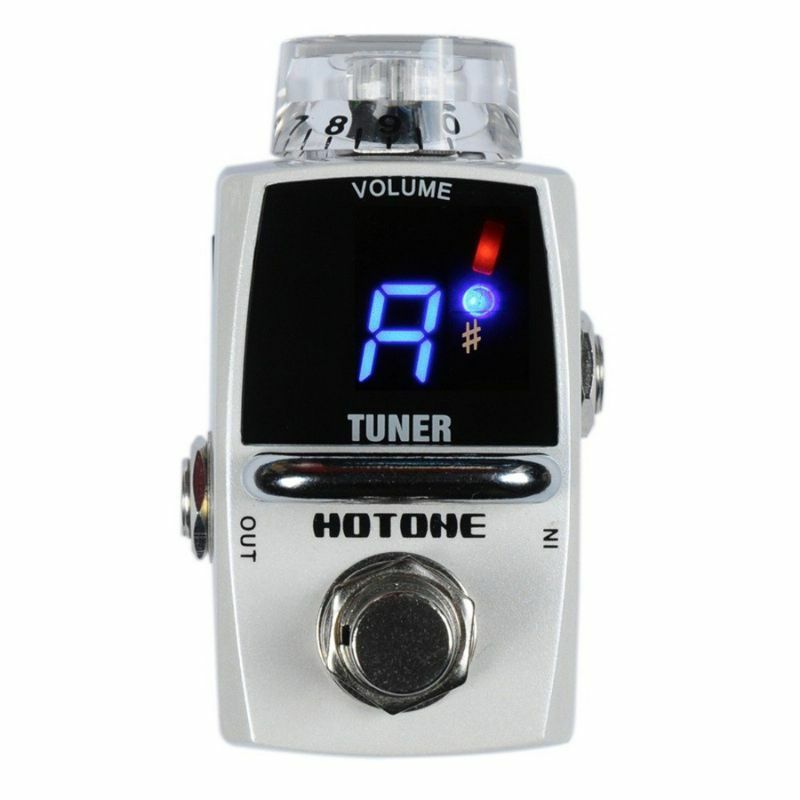 This handy device can also control your output volume when active (up to a 12dB boost), so you can use the Hotone Skyline Tuner guitar pedal as a mute box or clean boost pedal!